Synthesized peptide derived from human AP-1 around the non-phosphorylation site of S73. Small volumes of anti-AP-1/Jun D antibody vial(s) may occasionally become entrapped in the seal of the product vial during shipment and storage. If necessary, briefly centrifuge the vial on a tabletop centrifuge to dislodge any liquid in the container`s cap. Certain products may require to ship with dry ice and additional dry ice fee may apply. 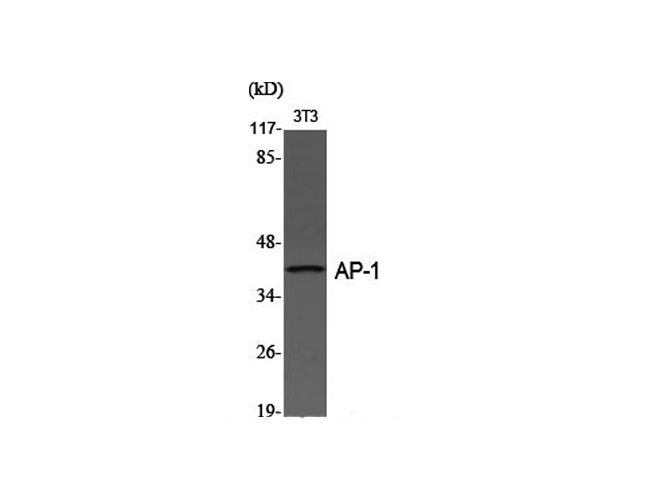 Western Blot analysis of 3T3 cells with AP-1/Jun D Polyclonal Antibody. 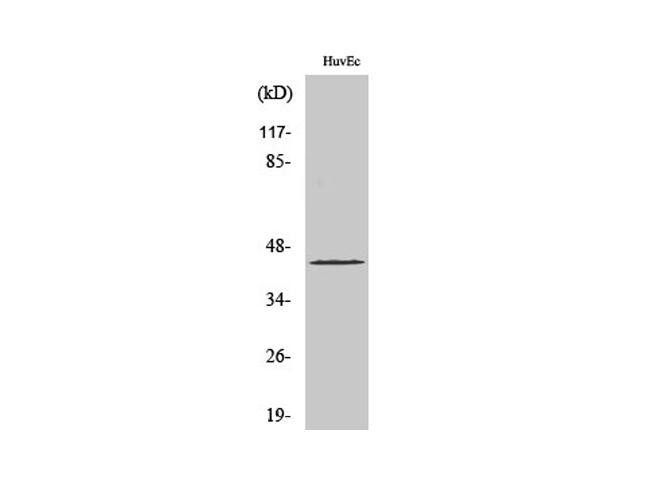 Western Blot analysis of HuvEc cells with AP-1/Jun D Polyclonal Antibody.